BE SURE TO CHECK BACK TOMORROW FOR KATHLEEN’S INTERVIEW AND A CHANCE TO ENTER HER GIVEAWAY! Annie, thanks for showcasing SECRETS OF THE ROYAL WEDDING CHAPEL! 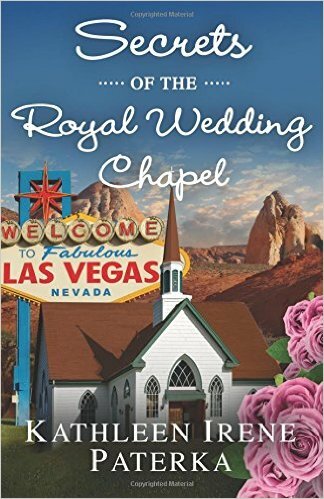 I had such fun writing this book, which is set in Las Vegas at a wedding chapel. I’m happy to hear you loved Lily’s story. Interested in a sequel? Stay tuned!